And Grammy in heaven must have been keeping an eye on me because I finished in just over 33 minutes, despite not having run a step since my last 5K. I was so proud of myself – and so excited to see just how many people turned out despite the icky weather to rally for such a good cause. 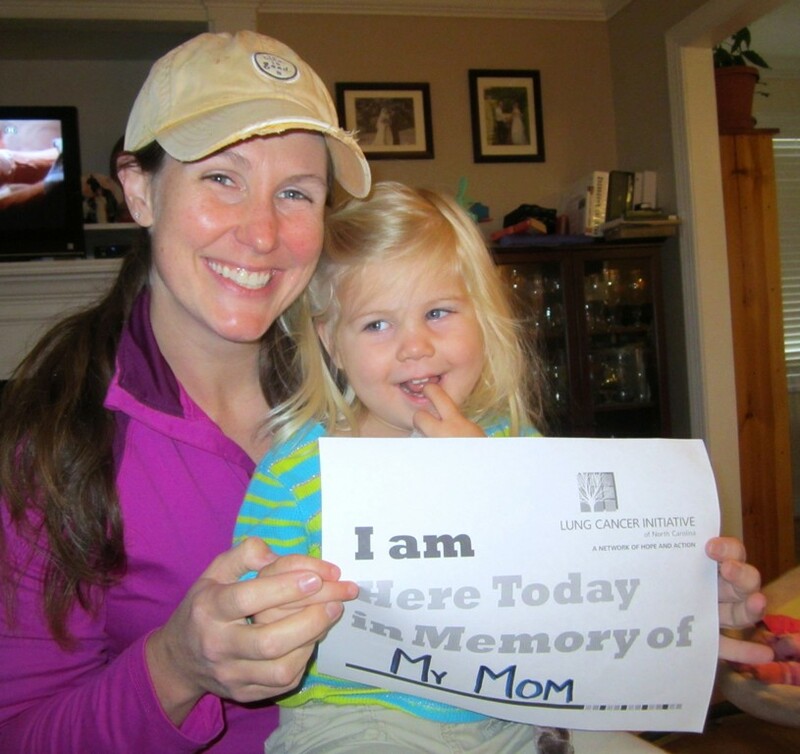 If you haven’t yet but want to, you can still donate to the Lung Cancer Initiative. Or find a lung cancer event in your area. And together we can work to find a cure! 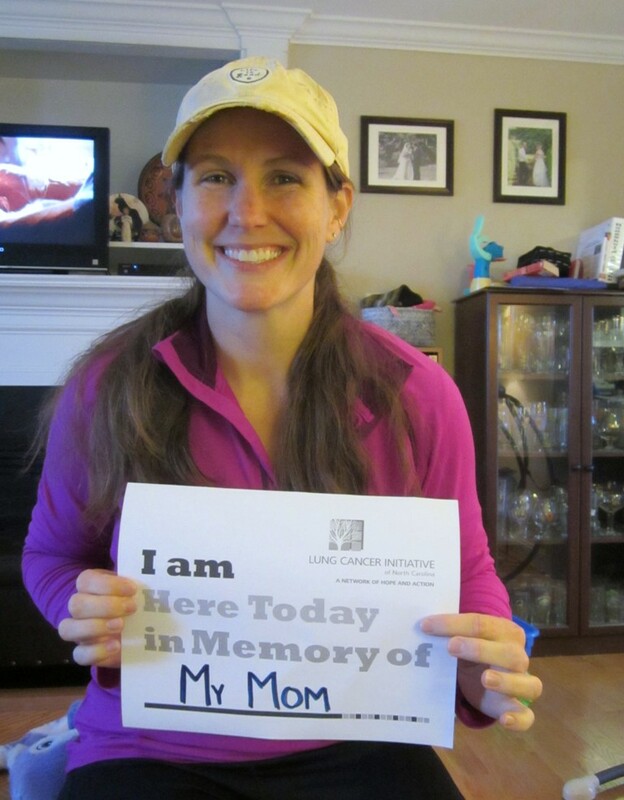 This entry was posted in Home Life and tagged 5K, BrewsterMama, grief, Lung Cancer, Mom, Running by BrewsterMama. Bookmark the permalink. Thank you Laura!! You guys are the best!